"This school year Anderson District Five students will be part of a brand new program that will keep them learning even when weather keeps them from the classroom" summarizes Nicole Ford, reporter and multimedia journalist. It's a pilot program for South Carolina that you will only see at Anderson Five. Superintendent Tom Wilson tells 7News it's a program five years in the making and just recently were they picked by the Oversight Committee to be a participant. 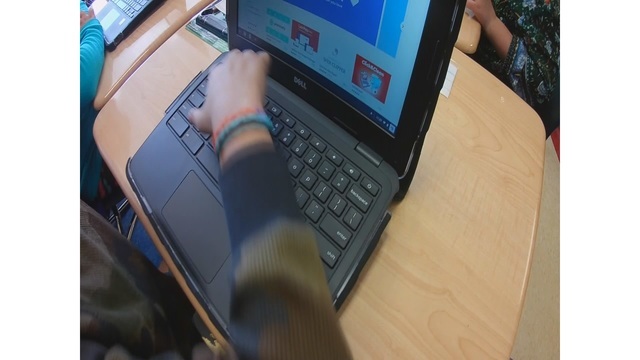 The way it works is that instead of school being closed for snow or inclement weather, the students and staff will instead of an E-Learning day. Since all students have chromebooks supplied by the school, they will be able to take them home for Grades 3rd to 12th to complete assignments online with the ability to communicate with the teachers.